The most sophisticated digital economy of Southeast Asia, Singapore already has a well-served e-commerce market with several international companies competing for its limited but affluent population. Local startups are trying to grab their share through innovation and international actors are coming in the country by acquiring local players or developing their own offers. The Singaporean e-commerce market is already saturated with big and small companies, either pure digital players or brick-and-mortars retailers that venture online. 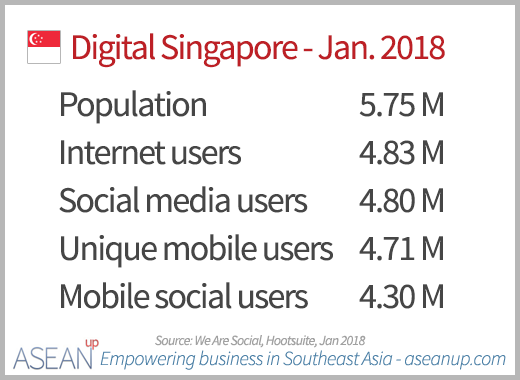 Though it is not growing as fast as other countries, the most sophisticated market for e-commerce in Southeast Asia remains interesting for the very solvable and technology-savvy population of almost 6 million in Singapore. To give you more perspective on the current players of e-commerce in Singapore, here is the top 10 e-commerce websites in 2018 and their estimated monthly traffic from SimilarWeb. For those who would like to go further and plan to expand their e-commerce or internet business, consider buying our “succeed online in Singapore” ebook which will guide you through the Singaporean digital landscape and best practices of digital marketing. You can also purchase our spreadsheet of 400 top blogs of ASEAN-5 to easily find partners for influencer marketing and SEO. 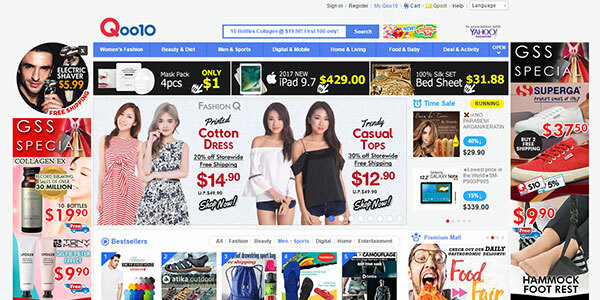 Qoo10 is an online marketplace especially present in the categories of women and fashion and famous for its Korean products. 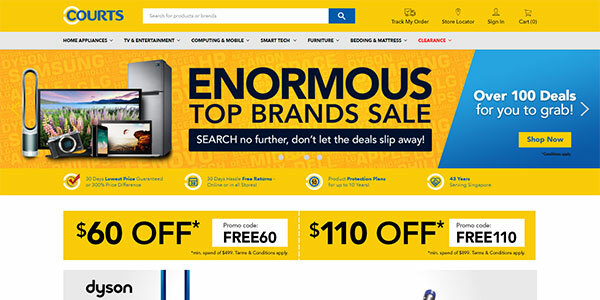 After its acquisition of the South Korean site Gmarket, Giosis, a joint venture with eBay, rebranded it Qoo10 in 2012. Having expanded beyond South Korea, Qoo10 has succeded in becoming the e-commerce leader in Singapore. It also aims at expanding its foothold in Japan and grow in other Asian countries. Second in Singapore, Lazada is nonetheless the leader of e-commerce in Southeast Asia, present in Malaysia, Indonesia, the Philippines, Thailand and Vietnam. It is a general online department store and marketplace allowing retailers to sell their own products. Founded in 2011 by Rocket Internet, the Chinese e-commerce giant Alibaba, acquired a controlling stake in Lazada and its Southeast Asian operations in 2016. 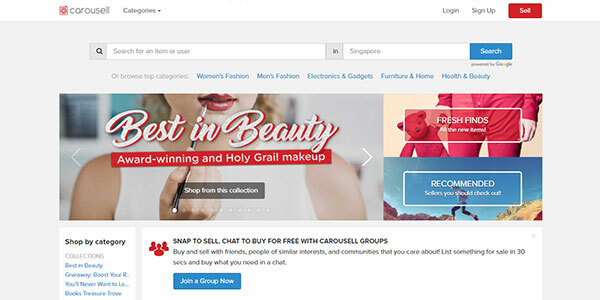 Originally a mobile platform, Carousell has developed a web shopping site to cater to computer users too. It allows anyone, brands or individuals, to take pictures of their products with a phone, sell easily through the Carousell platform and chat with the sellers to buy directly. Carousell is also present in Malaysia, the Philippines, Indonesia, Taiwan, Australia and Hong Kong. 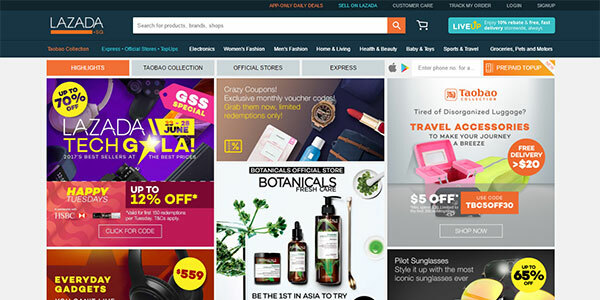 The Singaporean local site of eBay, one of the top e-commerce websites in the United States and the world, was originally created for consumer-to-consumer sales. 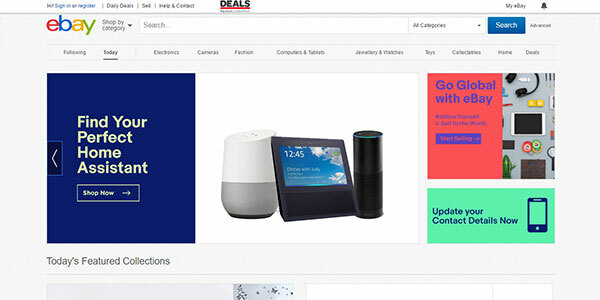 Having expanded since into business-to-consumer products and special deals, eBay Singapore caters to all general products categories. EZbuy is an online shopping platform primarily involved in clothing, family, home, beauty, sports, automotive and electronics. 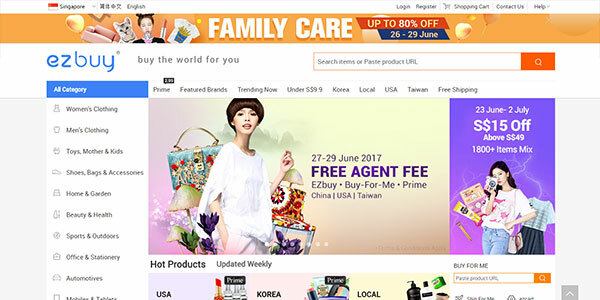 It is especially focused on Korean, Taiwanese and American products and promotes affordable products throughout the site. EZbuy is also present in Malaysia, Thailand and Indonesia. 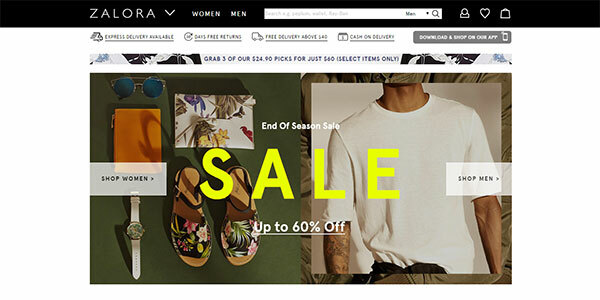 The largest e-commerce site in Southeast Asia specialized in fashion, Zalora enables fashion brands to sell their products to the site’s visitors. Founded in 2012 by Rocket Internet, Zalora is present in Singapore, Indonesia, Malaysia and Brunei, the Philippines, Thailand, Vietnam, Hong Kong and has recently launched in Taiwan. 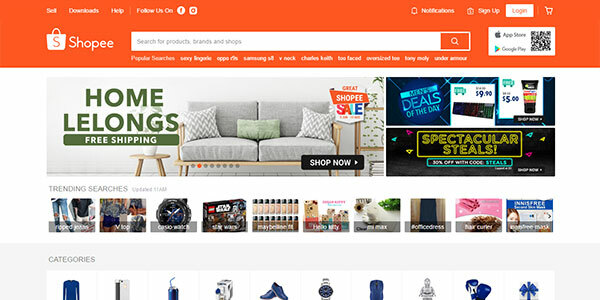 An important player in the region, especially in “mobile-first” countries, Shopee is a primarily mobile, diversified online shop also providing a regular web shopping experience. A leading platform throughout Southeast Asia, Shopee is also present in Malaysia, the Philippines, Thailand, Indonesia, Vietnam, as well as in Taiwan. 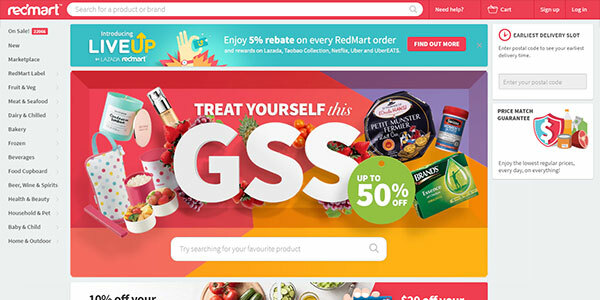 RedMart is the Singaporean leader in online groceries shopping with products ranging through all food and beverages, hosting a marketplace for companies to sell their products directly. RedMart is notably involved in the online retail of fresh food (fruits, vegetables, meat, seafood…) which require a particular expertise. Acquired by Alibaba’s Lazada in 2016, RedMart is a strategic business for its expansion. 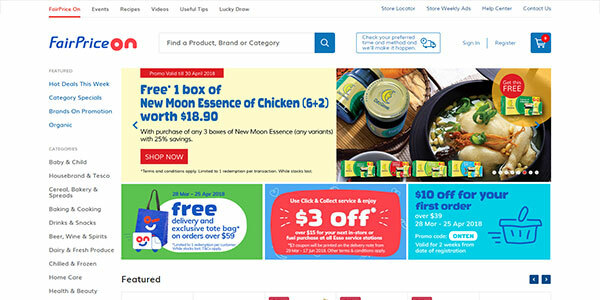 FairPrice On is the e-commerce portal of FairPrice, leading grocery retailer in Singapore. FairPrice On allows customers to buy household products, from fresh food to home and baby products, to get delivered at home or picked up at a convenient time. Originally from the United Kingdom, Courts has become a leading electrical, IT and furniture retailer in Singapore and Southeast Asia. Courts also proposes its customers to buy their products online via their website. In addition to their web versions, most of the top 10 e-commerce websites presented above also have mobile applications available on the various platforms to enable e-commerce through mobile devices. Carousell and Shopee, in particular, are mobile-first marketplaces, strong leaders of mobile commerce in Singapore. Besides, other websites that are not in this Top 10 have a powerful presence on mobile, such as TaoBao and Zaful. 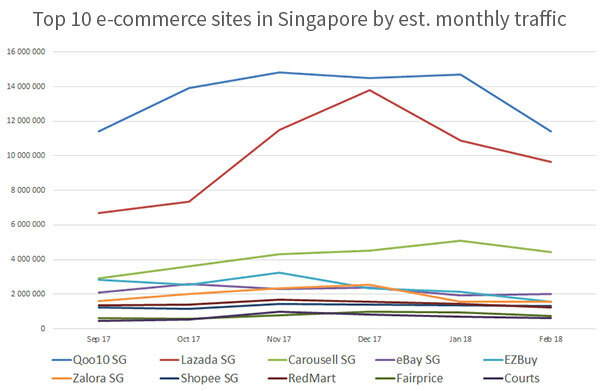 The estimated monthly traffic from the top 10 e-commerce websites shows the lead of Qoo10 over the Singaporean market with more than 11 million visitors per month, followed by Lazada above 9 million, and Carousell at 4 million. Other players come far after, showing that the three leaders seem to be distancing themselves from the pack. Though generalist or industry-specific websites make up for the bulk of Singaporean e-commerce, some specific brands are also picking up some traction. Furthermore, the leader of peer-to-peer classifieds in Singapore with more than 2 million visitors per month, GumTree keeps some potential in the Singaporean digital commerce scene.